Call us today to Rock your next event! (800) 446-0869 or complete the contact form. MEMORIES…that will last a lifetime. Pricing for entertainment for your wedding celebration can vary from company to company…and even state to state….like anything you may buy. Regardless of what you buy, from new clothes, an automobile or even a nice dinner. They all will vary according to price and your own tastes. There are many companies that do and offer similar services, however if you do your research, there is a difference.  DJ TKO Entertainment offers various pricing starting points that are based on demand and availability for each of our DJs and Emcees. We will always do our best to work within your budget to create a memorable evening for you and your guests. Discounted pricing is available for off-season weddings during the months of December to March or weekdays Sunday to Thursday. If there are budget limitations please contact us, and we will work with you as best as possible. DJ TKO entertainment is head and shoulders the best and most elite entertainment service out there period! If Chuck Norris was a DJ service he would be DJ TKO! They made our day simple, easy and extremely entertaining! Please use the contact DJ form below to begin planning your event or give us a call at (800) 446-0869! DJ TKO Entertainment services Philadelphia, New Jersey and Delaware, however we are available for events in New York and Maryland as well. Please allow 24 hours for our team to respond to your submission and weekend requests will be returned on the following weekday. We at DJ TKO Entertainment look forward to speaking with you in regards to your upcoming wedding or event.